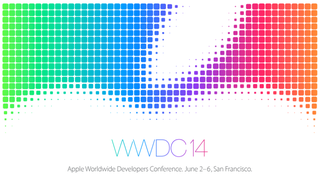 Last year at WWDC, we got a huge overhaul of Apple's mobile operating system. And this year, it looks like OS X could be in for the same treatment. According to 9to5Mac, the upcoming OS X 10.10 is going to be a major overhaul, maybe the biggest in OS X history. 9to5Mac reports that OS X 10.10—internal codename Syrah—will borrow a lot of design cues from its mobile brother. That means tons more whitespace, more cohesive icon design, and sharper window corners. All things that would make OS X look waaay more like iOS 7. Functional attributes of the desktop OS won't be disappearing though. You'll still have your Finder, and Mission Control, and windows and whatnot. It's essentially laying the iOS 7 design aesthetic, but keeping the OS X skeleton you know and love. For now. Whether or not these changes actually do come up at this year's WWDC, Apple is certainly in an especially good position to start pushing big changes to OS X, whether they're design or functionality. By releasing Mavericks for free, Apple's managed to pull a whole bunch of its users into the future and quash fragmentation. That makes it easier than ever to make sweeping changes and know that they'll reach the masses when the new, also free update actually hits, reportedly late this year.